Bearded Backchat is a chance for me to interview PR people and fellow bloggers. First up this week is the lovely Donna from WhatTheRedheadSaid. If you’re a blogger and you recognise the name, it may be because Donna is one of the most helpful bloggers out there. She’s also a favourite of mine, hence why she was the first blogger I asked to appear in this series. I work part time for a high street bank - a customer service type role. I was a Bank Manager until having kids and then decided to take a step back and we now have a much better work/life balance. It’s a typical family lifestyle blog. I write about everything we get up to as a family as well as regular reviews and giveaways. I started blogging when my eldest child was 7 months old to record her baby led weaning journey as at the time there wasn’t a huge amount of info around about baby led weaning - it still seemed like a bit of a fad so I thought it would be nice to document our progress in case it could be of use to anyone else. Well, over the last four years the blog has gone from that original blog to being self-hosted and then, a year ago, being completely rebranded. I now blog to document our family life and to record the children growing - like an online photo album - but the blog has also turned into a career for me too - something that I can fit around the children and that I really enjoy doing. It also gives us so much as a family that we wouldn’t have without the blog - experiences, days out and so much more. When I started blogging I didn’t really realise that the whole blogging world - and community - was out there. When I discovered that side of blogging it was a huge revelation. When I started there were many people like me starting blogs to document their lives who then, years later, fall into product reviews and collaborative work. The main change I have seen is that now there are more people starting blogs purely to make money from it and turn it into a career. This has also led to a lot more competitiveness in the world of blogging but the great thing about the internet is that there really is space for everyone and every kind of blog. The more the merrier! I still class the blog very much as a hobby but it is a hobby that I can see being a future career for me - and it’s a hobby that needs me to complete tax returns every year! I guess I should start seeing it as a job but I don’t want the fun to be taken out of it. I spend 30+ hours a week blogging in one way or another - responding to emails, writing posts, editing photos, scheduling social media updates, spending time on blogging FB groups and reading and commenting on other people’s blog posts. I spend more time blogging than I do in my day job and yet I get so much more from it in a sense of how rewarding it is. I really love blogging and just think the day that I am relying on it as a primary source of income could be a day where I don’t enjoy it as much. Ooooh toughie. I read so many blogs that it’s hard to pick just three. Love From Mim is one of my favourite blogs at the moment. Mim writes about her recent diagnosis with cancer, their new life in Australia and so many other things. It’s written from the heart and it’s hard to not feel like you’re right there with Mim as you read her posts. A Cornish Mum is another favourite of mine. 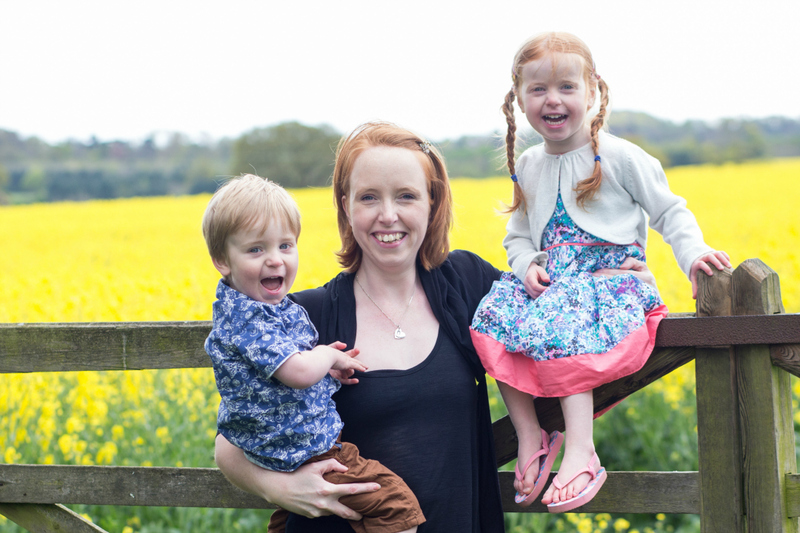 Stevie writes about their family life in Cornwall and living with a diabetic son. Her blog is full of beautiful photos and always gives me a nostalgic urge to go back to Cornwall as soon as possible! It’s well written and easy to read - plus Stevie is one of the nicest bloggers you’ll meet which is definitely a reason to read it! Lastly, Rainbeaubelle deserves a mention. I sadly only started reading Julia’s blog after her husband passed away last year but since then I have spent time reading older posts and keeping up to date with new ones too. Reading about their family life over the last few months has been heartbreaking at times but I know that Julia’s words will help other people. The blog is so well written, so honest, so touching. It has everything from Julia’s regular 5 under £5 feature to beautiful photos and crafts. I know it sounds cliche but the amazing friends I have made through blogging. The blogging community is a pretty incredible thing. In blogging, I have found something I am good at, a hobby that fits in well with our lifestyle and a community that I was accepted into without question. I have made friends that will be with me indefinitely, ones I holiday with, have days out with and ones that come to the children’s birthday parties. That for me is worth more than the material things that blogging has brought me. What would be your perfect blog post? To be honest, I have got to the point where I love being able to go on a holiday or a family day out without the obligation of blogging about it afterwards, spending the whole of it taking photos and making notes. So, yes, I read other people’s overseas holiday reviews or new kitchen collaborations and I think how lovely they would be but over the last years I have more experiences than I ever thought I would and I am so thankful for them. Now, my perfect blog post would be something simple - a Michelin starred meal somewhere, afternoon tea somewhere new or taking the children to CBeebiesland - something we are yet to do! This is something I get asked quite often and there is no easy answer. Keep writing and make sure the content is the sort of thing people might search for in Google - reviews, top tips. Then share it wherever you can. Eventually, you’ll have a back catalogue of posts that will be regularly found in Google which will lead to organic traffic. Also, the more you read other blogs the more people will read yours. Take time to read blogs, comment and share other people’s posts and more often that not they take the time to do the same for you - not every time but eventually you’ll find you’re reading because you love it and not purely for the traffic it brings. I have an ongoing relationship with Now TV who are a lovely bunch. Now TV doesn’t cost a fortune but they are laid back about the relationship and we get to watch brand new movies and TV shows - something that benefits the whole family. They also sent me a lovely Christmas gift too which was unexpected but really appreciated. Also, I have been part of the Bigjigs Play Patrol for over a year now and as I was always a fan of the brand before I started blogging they were a dream to start working with - and a brand that I will shout about wherever possible. They also have in-house PR which probably helps but they’re lovely to work with. That’s hard! I have worked with some incredible brands over the last few years and so it feels a bit greedy to still be looking to work with more. I guess one I would love to work with is Coca-Cola. Mainly because it is through other bloggers’ collaborations with them that I have found out about all the overseas charity work they do. Add to that the fact that Christmas officially starts at the first viewing of the Coca-Cola Christmas advert and you really have one of my favourite brands. Maybe they’ll return next year and I’ll get that Coca-Cola bottle finally?! It would be History in the Making or just plain Selfish? I wrote this post quite recently after reading a newspaper column I strongly disagreed with. When I started blogging I used to write ranty, opinion based posts all the time. It was my space to air my views and I always tried to do that in constructive ways but over the last year or so I have lost my way slightly under an avalanche of collaborative work. This post made the blog my space again and helped me find my voice again. It’s my favourite post as it’s reignited my love of really writing. Ooooh, another toughie! I have actually arranged to guest post on a lot of blogs recently and I think a highlight will be appearing on Mama Mim’s soon. As one of my favourite blogs, it will be nice to see myself on it! Where do you get the inspiration for your blog posts? Up until now it has just been day-to-day life or stages that we are going through in life - weaning, potty training etc. Going forward, I’ll be taking more inspiration from current affairs, newspaper articles and anything else I see in the media. Well, I wanted ‘Redhead Said’ as it was short and catchy and I was majorly disappointed that the URL for that was already taken so Hubby said what about What the Redhead said and I shook my head and didn’t like it. A couple of weeks later I bought the URL, it had grown on me and now here we are - over a year later and it is very much me. Thank you, Donna, for taking part and helping to launch this series of interviews. Once again, you can see Donna’s blog at WhatTheRedheadSaid, and you can also follow her on Twitter. Aw Donna thank you for mentioning my blog lovely, I take that as a big compliment as someone who I hugely respect and you know I love your blog. You also chose two of my other favourites! Interesting thoughts from Donna. I feel similar, that spending the equivalent of a full time job on blogging doesn’t mean that I’d see it as the perfect full time job. I’d feel inclined to say yes to everything.